Owning and operating a small business takes dedication and hard work. 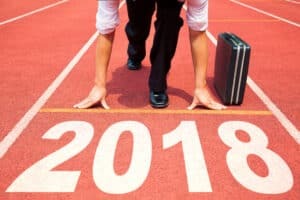 As 2017 comes to a close, it’s a good time to take a look back at the business practices that worked well, and which ones need to be improved on. Here are four tips to help you make the most of 2018. You need new business equipment. But, you’re wondering whether it makes more sense to lease or buy the equipment. Which is the better option and why? It all depends on circumstances. Sometimes it makes more sense to lease while on other occasions, you’d be much better off buying. Below is a brief summary of the pros and cons of each option to help you make an informed decision. Lower initial expenses: This option allows you to acquire assets with minimal initial expenses. Flexible terms: Leases are also easier to obtain and have more flexible terms compared to outright purchases. 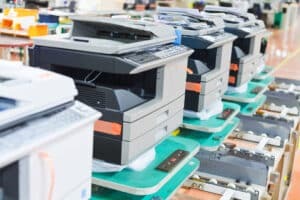 Upgrade equipment more easily: Leasing is one of the best ways to deal with the problem of obsolescence because updating equipment is solely the responsibility of the lessor. You don’t own the equipment: Unlike with purchases, leased equipment has to be returned at the end of the lease term. Obligation to pay for the entire term of the lease: You’re under obligation to make payments for the lease period even if you stop using the equipment. Higher cost: In general, leasing costs more. Monthly payments are always higher than if you were purchasing the equipment. Ownership: When you buy office equipment, it belongs to you. This can be a major advantage if the equipment has a long life. Depreciation deduction: Some types of equipment can also be depreciated to reduce your taxes. High initial costs: Buying brand new equipment requires a lot of money. And, even if you plan to borrow the money, the bank will demand a 20% down payment. Couple this with the many financial restrictions that come with bank loans and you may find yourself in a dilemma. Getting stuck with obsolete equipment: This is especially common with high-tech equipment. With technology changing every second, you risk getting stuck with out-of-date equipment just months or years after purchase. 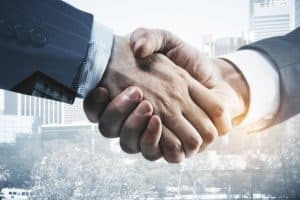 To arrive at the best decision, consider the cost-effectiveness and tax implications of each option, and proceed with the option that best fits your needs and budget. Are cash flow problems keeping you from upgrading your business equipment? Invoice factoring provides an unlimited source of working capital without increasing your debt position. Call American Receivable at 1-800-297-6652 to learn more.